On October 21 1995, the music video for I Want You by Madonna with Massive Attack hit #11 on VH1’s weekly chart in the U.S. 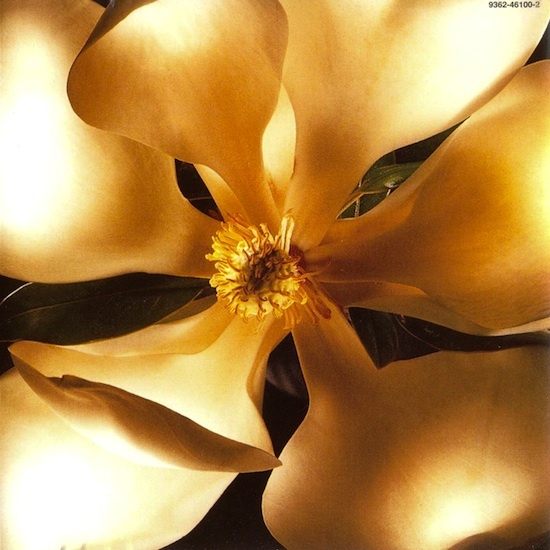 The video for I Want You is somewhat of an anomaly in Madonna’s career. The song was initially intended to be a joint release to promote both Inner City Blues (a Marvin Gaye tribute album on Motown Records) and Madonna’s own Something To Remember ballads collection on Sire/Maverick. Naturally, a music video was commissioned to accompany the planned single. Unfortunately, legal wranglings between the two record companies ensued when Motown insisted on releasing the tribute album ahead of Madonna’s album. Concerned that the move could negatively impact sales of Something To Remember, Madonna’s label apparently backed away from plans to fully promote I Want You. Fortunately for fans, the song’s excellent music video, which had already been completed by director Earle Sebastian, was not shelved. It was serviced to video channels ahead of the release of both albums and received moderate support despite the song’s absence from radio. The video quickly faded into obscurity, however, once Madonna’s You’ll See single and its accompanying video were given a full promotional push from her label less than a month later. On October 2 1995, the music video for I Want You made its world premiere on VH1 in the U.S. Shot on August 5th and 6th in Long Island City, New York by director Earle Sebastien, the video was inspired by the short story A Telephone Call – A Terrible Day Tomorrow by American author, Dorothy Parker. 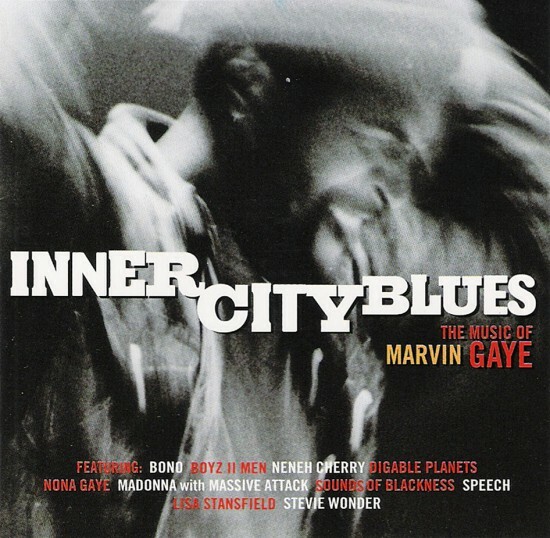 On October 17 1995, the Marvin Gaye tribute album Inner City Blues: The Music Of Marvin Gaye was released. 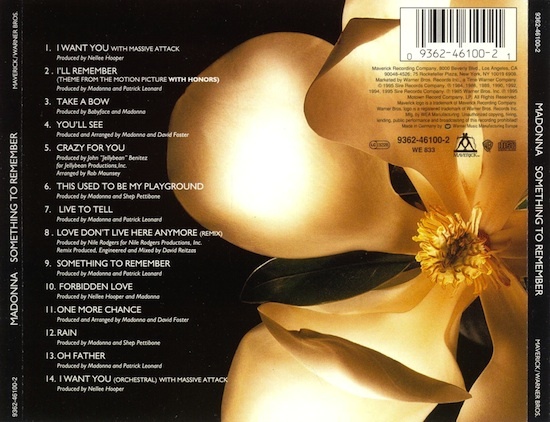 Compiled and released on Motown Records, the album featured a beautifully poignant remake of the 1976 classic I Want You by Madonna with Massive Attack. Motown Records had initially brought Massive Attack on board to produce the track before a lead singer had been confirmed. Early plans sought to have Chaka Khan perform vocal duties, but after failing to turn up for the recording session she was swiftly nixed from the project. Aaron Neville was then lined up as a replacement but plans again fell through when contract issues prevented his participation. Producer Nellee Hooper, who had recently produced cuts for Madonna’s Bedtime Stories album, suggested her as a potential choice. Surprisingly, getting Madonna’s vocal contribution involved less red tape and less prima donna behaviour than either previous option. Madonna was equally impressed with the results of the session, opting to include the song as the opening track on her forthcoming ballads compilation, Something To Remember – and book-ending the set with an orchestral version. Initially planned as a jointly-promoted lead single for both albums, a video was filmed for the song by director Earle Sebastien. While the video was put into rotation on music video channels in early October, plans to release the track as a single were scrapped due to label disagreements between Motown – who insisted on releasing the tribute album several weeks ahead of Something To Remember – and Warner. Perhaps fearing that Warner would withdraw their permission to include Madonna’s vocals on the tribute, Motown wisely ceded to its inclusion on Madonna’s own retrospective. The song was later featured on Massive Attack’s 2006 best-of, Collected.